Denominational splits are one of the most challenging issues in the Unification movement. As Unificationism presents itself as the “new truth” to resolve religious/denominational divides, the claimant carries the burden of demonstrating its truth with evidence. Even if Unificationists cannot solve this reality immediately, they should at least be able to articulate the Unificationist approach to religious/denominational unity. Underlying these splits is the idea of authoritarianism, found in religious fundamentalism in other religions as well. This position enhances division and is contrary to Unificationism as exemplified by Reverend Moon. Within the broad spectrum of Unificationism, there are various interpretations including authoritarian. I will explain what authoritarianism is in the current context of denominational splits, why and how it can be a problem, and how religious authority can be established in a non-authoritarian way. I contrast Rev. Moon’s approach to an authoritarian one. Since authoritarianism is a complex and broad subject in social science and found in all types of institutions and organizations, be they religious or not, I focus only on the question of the process of establishing religious authority. Authoritarianism results in an authoritarian personality and creates such a culture. Although Rev. Moon’s critics characterized him as an authoritarian, he seemed to be trying to eradicate such tendencies from the Unification Movement. I highlight his non-authoritarian approach to religious/denominational unity. I had a dispute with a devoted Unificationist on the denominational splits within the Unification Movement. He told me the issue of denominational unity has been clearly solved by the Blessing, which is the Unificationist way of unity. I replied, “How can the Blessing be the solution to denominational splits when everyone adheres to the same Blessing?” He asserted the Blessing is the way for the unity of denominations in Unificationism and that current splits were irrelevant. He continued that the question is one of accepting the absolute authority of True Mother, and if one does not do so, he or she falls under the dominion of Satan and so demonizing them is legitimate. I realize such a view is not uncommon among Unificationists. Such a view interprets the problem of denominational splits as a question of obedience to an authority; some may even use phrases as a test of faith or loyalty. I find such arguments to be dogmatic, and similar to those used by fundamental Christians as the basis for rejecting Unificationism and labeling it as heresy. Nevertheless, there remain disputes over the question of the legitimacy of authority between denominations in the Unification Movement. Efforts are being made to establish religious authority in reference to the authority of Rev. Moon. The more basic question, however, is how Rev. Moon established his religious authority. In order to answer this question, I step back to clarify more basic questions about claims and credibility. Consider Rev. Moon’s claim of having a spiritual encounter with Jesus when he was 16 years old (As a Peace-Loving Global Citizen, p. 50). Because we cannot access the minds of others, the claim itself cannot establish its own credibility. The credibility of an experience or event, as a turning point in one’s life, is retrospectively established by the series of actions one takes in his or her personal and social life; measurable outcomes are what make a claim credible and meaningful to others. Thus, Rev. Moon’s claim of being the successor to Jesus’s mission through his mystical vision is not validated by the claim itself, but by a series of measurable actions. That experience also becomes meaningful to others only when the inspiration is manifested through positive impact on individuals and societies. In other words, the event became the turning point in Rev. Moon’s life because he made it the guiding principle for the rest of his life. If he had done nothing, the experience would have remained a personal episode for him; the event would never have become something significant for others. We find self-proclaimed Christ-like “Saviors” who claim to have had mystical experiences in numerous places in the world. We also observe schizophrenic individuals who report such mystical experiences. While these individuals may have had such experiences, the meaning of a claim is measured by its positive outcome and impact on others. Suppose we assess Rev. Moon’s claim by applying a general assessment tool: knowledge, skill, attitude/value, action, and impact. In the field of knowledge, he presented his theistic philosophy by answering a number of difficult questions. He opened his views to scholarly scrutiny by establishing a series of platforms to discuss its plausibility (the “God: The Contemporary Discussion” conferences, New ERA ecumenical conferences, etc.). He also applied his perspective to diverse spheres including politics, extending its reach to political activities (though the reconstruction and articulation of his political philosophy is long overdue). In terms of skills, he demonstrated his skills in dealing with people, strategic thinking and management. In attitude/value, numerous individuals witnessed who he was in personal encounters with him. Many members testified to their own personal experiences with him as evidence of who he was. There are numerous episodes and measurable evidence to lend credibility to Rev. Moon’s claim. The key point is how Rev. Moon approached the question of establishing his religious authority: by building evidence through active engagement, open invitation to scrutiny, dialogue, and collaboration. For example, when Rev. Moon began tuna fishing he earned respect through action and results. When he first started, he lost tuna after tuna. Nevertheless, he developed his skills, discovered new methods, and became an accomplished tuna fisherman in the end. Through trial and error, he established his authority based on action and results, earning the trust of others based on evidence. Rev. Moon described his experiences in a North Korean concentration camp (1948-50), which included acts of great compassion toward fellow prisoners. How does this story become credible? Credibility comes not from an appeal to some authority, but the evidence witnessed by others through members’ personal experiences with him. Authoritarianism in the context of religious/denominational unity is a short-cut characterized by threats under the label of “faith.” It will never unite diverse faith groups/traditions. The Unificationist approach demonstrated by Rev. Moon is the opposite: it paves the way so that non-believers and others can come to recognize his genuine devotion to his religious ideals. 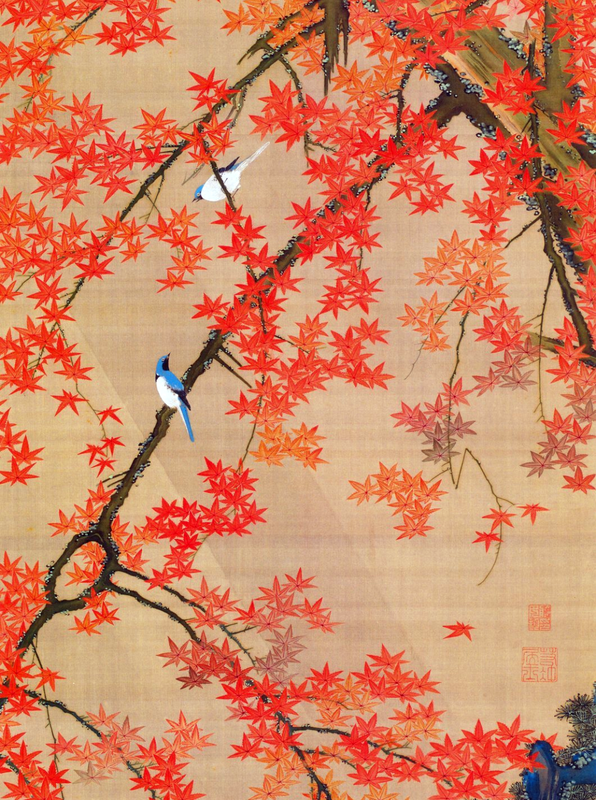 Detail from “Maple Tree and Small Birds” by Ito Jakuchu (1765-66). Religious authority relies on people’s acceptance/belief. If people stop believing someone, his/her authority is lost. Authoritarianism places the burden of “belief” on believers by the use of threats or force, often by appealing to negative consequences and the God-Satan/Devil rhetoric. Rev. Moon’s approach, on the other hand, places the burden of proof upon himself to demonstrate evidence. While authoritarianism yields an “authoritarian personality” (coined by Eric Fromm; developed by Theodor Adorno), Rev. Moon’s path allowed him to grow and become who he was. In other words, he became who he was by taking it upon himself to build undeniable evidence. Although some opponents of Rev. Moon characterized him as authoritarian, both his personality and approach to religious authority show otherwise. Authoritarianism carries with it the danger of hypocrisy. Many religions, including Unificationism, hold as core values compassion, forgiveness and kindness. When such teachings are placed under the reins of authoritarianism, these virtues are only applied to those within the narrow circle of people who accept the authority of the group (as sharply demarcated by the God-Satan rhetoric). As we see through the history of religious conflict, such believers can be cruel to those who reject their religious authority. This double-standard brings out a hypocritical self-deception where one believes the self to be a practitioner of compassion, but is in reality extremely cruel. Authoritarianism is incompatible with the idea of compassion for all. When authoritarianism becomes a dominant discourse, authoritarian culture is generated. Responsibility is heavily given to the authoritative figure and others become “blind” (irresponsible) carriers of the “order.” In this culture, a virtue such as “loyalty” dominates and the virtue of mutuality is not cultivated. In other words, believers “value” what they take to be the central authority, but not the people who in fact sustain the authority (when people stop accepting the authority, “religious” authority vanishes). Because it is not sustained by strong virtues of mutuality among believers, the organization becomes unstable once an issue arises in the sphere of the central authority. Authoritarian culture is, in fact, a culture of irresponsibility, and no genuine community can be built. In authoritarian culture, the value of the individual is limited to its instrumental utility (Immanuel Kant criticized it as unethical) for central goals. The culture of love is, however, built on seeing one another and the individual as irreplaceable beings (Kant phrased it as the “end in itself”) with a sense of dignity and respect. Each and every individual is the ultimate moral agent God entrusted. The culture of heart is possible only when such ethical character and community is built, which demands a departure from authoritarianism. The non-authoritarian Unificationism Rev. Moon tried to build is the culture of responsibility. Praying in one’s own name and the primacy of listening to one’s own conscience are examples of how he envisioned each member to become a morally and religiously responsible individual (moral autonomy). Through his efforts, he asked each member to embody his life philosophy of building a path for unity by paving it. As he demonstrated in his life, each individual can build his or her caring personality by walking such a thorny path. Where and how can genuine Unificationism be built? By giving up authoritarian discourse and shifting the focus to the self. It is ultimately each individual’s choice for what kind of personality you want to build, what kind of culture you want to create and belong to. If God does not dwell in each person in the most intimate way, “true love” is an empty slogan. A path for true love is, in fact, a thorny path for unity. 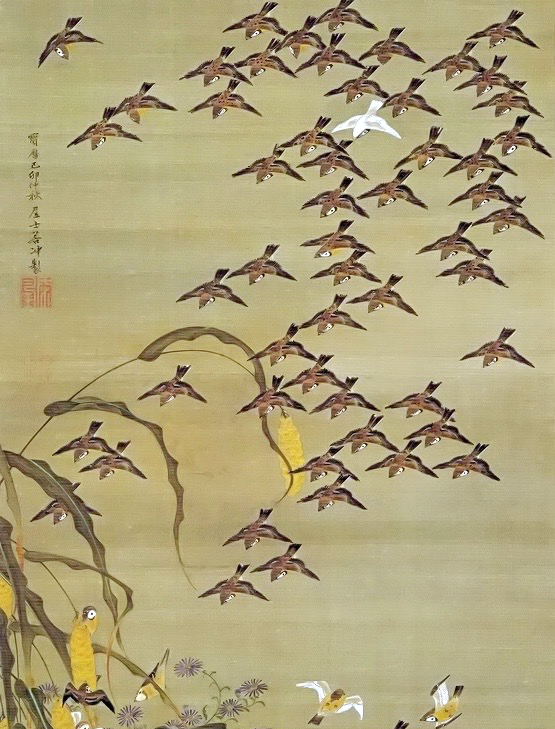 Painting at top: Detail from “Autumn Millet and Sparrows” by Ito Jakuchu (1759). Thought-provoking article, but the truth of the matter is that there is a certain amount of “authoritarianism” found in all three of the current major sects of Unificationism, which in and of itself is ironic. As for the Blessing being a potential point of reconciliation, this seems highly unlikely since each sect offers its own form of blessing, while considering that sacrament invalid as practiced by the other sects. But the real stop gap issue is that each of the main three sects considers only their top leader to be the chosen one to lead the Providence at this time. The overwhelming issue, therefore, is not the stumbling block of authoritarianism that prevents the Unification Movement from reuniting, but the sincerely held religious belief by the followers of each of the three sects that they alone are following the one true leader. In the absence of irrefutable evidence, it is highly unlikely that the all-important issue of “succession” will ever be resolved. Authoritarian or not, the Unification tri-schism seems a permanent feature. “Unificationists can open new horizons of Unificationism by taking on the burden of proof as their responsibility.” That’s it! This path — of “taking on the burden of proof as (our) responsibility” — is life-giving and exciting: discovering the road of becoming the incarnation of the Living God, Living Jesus, and Living True Parents. I am finding the more I figure out how to reach out to my neighbors with my heartfelt commitment to build a sexually pure tribe/culture, the more loving Unity I find within myself, with my husband, our children, our Unification brothers and sisters (any of the 3 groups), and the people I meet, intentionally or not, on a daily basis. It is our time — 1st gen — to find our own unique way to stand up to bring Hope and Solutions to our world in distress. We know the solution — in our head. Let’s figure out how to take it from our head into our heart, and out into our brothers and sisters of this world’s heart. This is “my” responsibility and “our” responsibility. Good article. The culture of the Unification movement was already very authoritarian while Father was alive which is why at least FFWPU and SC are as well. I don’t know about other ones. In fact I think the movement always has been despite the good examples you give of Father himself trying not to be. FFWPU and SC didn’t suddenly become authoritarian personality cults overnight. There are plenty of places in Father’s speeches where he mandated people to believe in him. Mother I think does this even more. John 13:35: “By this everyone will know that you are my disciples, if you love one another.” Love binds hearts, elevates the spirit and expresses the Heart of God. The purpose of religion is to bridge the gap between God and His/Her children so that the strong bond of heart is restored. The trap Christians have fallen into is to make beliefs a priority, even becoming hostile and judgmental toward one another. Being right became more important than being kind and, of course, more important than loving. When the love is lost, it’s over. It’s like a marriage gone bad. Two spouses who argue who is right and who is wrong. That could go on forever but there is no winner in such scenario. Just ask the children how they feel. So what can we learn from that? No matter the difference of belief, love should not be lost. That is the challenge we, as a community, are facing. Perhaps some might consider within and apart from any questions of authority as well as the various realities (and/or degrees) of unity (Love, of course, and…always) whether their own personal (or even the Universal, True One) *God* might yet remain…silent. I suppose this might be yet another spark toward that direction; time will tell. Meanwhile, let heresy be heresy. And call me Satan, if you like. The early movement was one rooted in absolute obedience and the Cain-Abel dynamic. Now we have the promotion of Hyo Jeong (filial piety) culture, recently proclaimed by a Special Emissary to Europe as being the most important of the Four Realms of Heart, which was news to me. The problem is that none of your examples of Rev. Moon’s non-authoritarian behaviour reflect his relationship with his followers (Heungnam prison, tuna fishing, New ERA…). Would you not agree that Rev. Moon was an (absolute) authoritarian figure to his followers? I never saw him open to discussion in a public setting; rather he repeatedly demanded his followers to pledge to accomplish his directions. And yes, woe betide those who fell short of his expectations. The last time I saw him, even at an advanced age and with his son begging him to sit, he spent 90 minutes poking, chastizing and even spitting at his elderly, faithful Korean followers standing in the front row. As he was the founder of the Unification movement, I cannot but hold Rev. Moon largely responsible for the current authoritarian culture that prevails in all its divided parts. Fortunately, as you point out, the seeds are there for a change, but for them to bear fruit it will take several generations, in my opinion. You make a good point. I agree with you that Rev. Moon has an authoritarian dimension. As for the relationship between Rev. Moon and his followers, I saw another aspect as well. In order to highlight the point, let me illustrate Nietzsche’s perspective on the difference between Jesus’ stance and his followers’ stance. In Nietzsche’s view, Jesus was looking at the world but disciples were looking at him; Jesus was totally selfless, while disciples were concerned about their “salvation” and their “relationship” with Jesus; hence, Nietzsche argues, no disciple understood Jesus. (Note: Nietzsche’s perspective on Jesus is very interesting. For example, Nietzsche holds: Jesus was not supposed to die on the cross and he was supposed to start a new peace movement; “salvation by the cross” was the “invention” by Paul. Nietzsche points out a huge gap between Jesus and Christianity. Contrary to his severe criticism against Christianity, Nietzsche admires and respects Jesus. Cf. my article on Nietzsche in the Journal of Unification Studies, if you are interested). In this article, I try to highlight the latter side of Unificationism (certainly the former has been dominant). I personally view it as Father’s Unificationism. I think one can start from a “worshiping” style but eventually move on to an “embodying” style at a more mature stage. Nevertheless, self-assessment is necessary for the UM as well as for the individual. Authentic authoritarianism is not so much what one promises but rather what one does, practices and embodies. True Parents lived authentically — they practiced what they taught, having no discrepancy between thinking and being, words and deeds, and truth and its embodiment. I will miss these articles and discussions. I would like to see our church empower local, district and national councils so there will be more transparency and accountability. I would like to empower second, third generation and new members to help create the church. I would like to see humility from our church and members to learn from and work with Christianity and other religions. We are not so much better or different. They are not so bad. Nice work, Dr. Noda. Keep it up.